Notothenia angustata Hutton, 1875, Dunedin Harbour, New Zealand. Grows to 2 ft (60 cm) in length. Mature specimens have a massive body (length/depth ratio, 5:1) with a large, slightly flattened head; heavy bony ridges over the eyes; and large scales. The coloring is dark olive-gray to blue-black, with varying light spots and lines; there are vague dark vertical bands on the trunk. 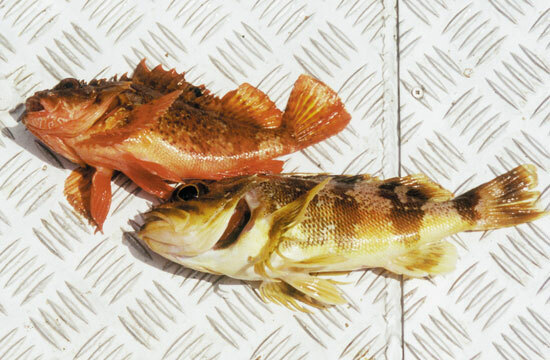 Juveniles are less flattened, with deeper bodies, deard reddish bronze coloring, and prominent light spots. Southern waters of New Zealand, from Stewart Island to Kaikoura. It also is found in Chatham, Snares, Auckland, and Campbell Islands and in Punta Arenas, Chile, and adjacent water. Adults are demersal on rocky bottoms, from near shore to 330 ft (100 m) depth. Juveniles are found in tide pools and among kelp near the shore. Like most other notothenioids, the Maori chief is solitary and never occurs in schools. 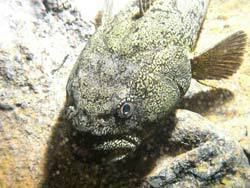 Adults are shy and sedentary, foraging among rocks and seaweed mainly at night. During the day, they hide in crevices or under seaweed, occasionally lunging for passing prey. Smaller fish are sucked into their mouth by the sudden expansion of the jaws and opercula. Juveniles are more active than adults, often leaving the bottom to forage in the upper layers of kelp beds. 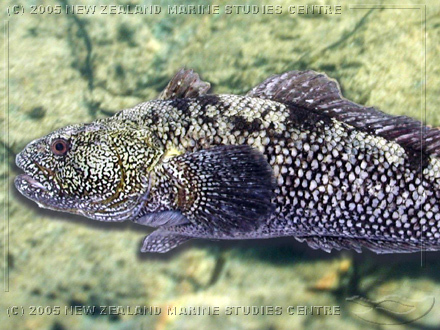 The Maori chief feeds on a wide range of bottom invertebrates, crabs, and smaller fishes. Occasionally, it ingests seaweed. The life cycle of the Maori chief is not well known. Eggs ripen in November and presumably are deposited on the bottom. Juveniles appear in rock pools in the summer (January) after an incubation period of about 30 days and a brief pelagic dispersal phase. Not listed by the IUCN. 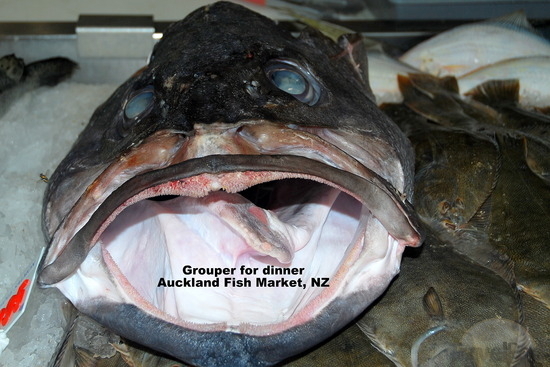 This species was caught for the local market up to the 1950s, when stocks were reported to be overfished. There is currently no commercial fishery for this species, nor has it been assigned a quota under New Zealand’s quota management system. This is said to be a palatable species, but its fearsome appearance and coarse texture relegate its use mainly to bait in lobster pots.